Another boldly colored necktie made for kids between the ages 5 and 10. 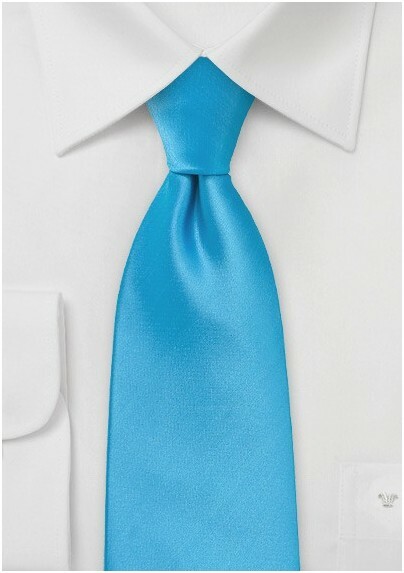 This bright blue necktie is, just like a regular sized necktie, one that is self-tied. Teach your son how to tie his own necktie! He sure will impress everyone in school this this new skill! Please note that this is a kids necktie. 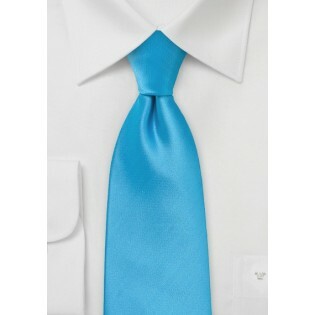 We at Mens-Ties.com also offer this bright cyan blue tie as an adult length tie. Made from care-free microfiber.